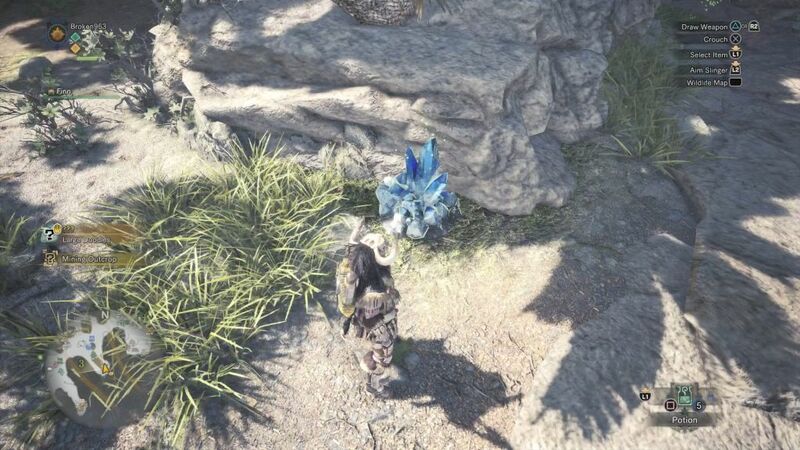 There are many ore locations on every map of Monster Hunter World. 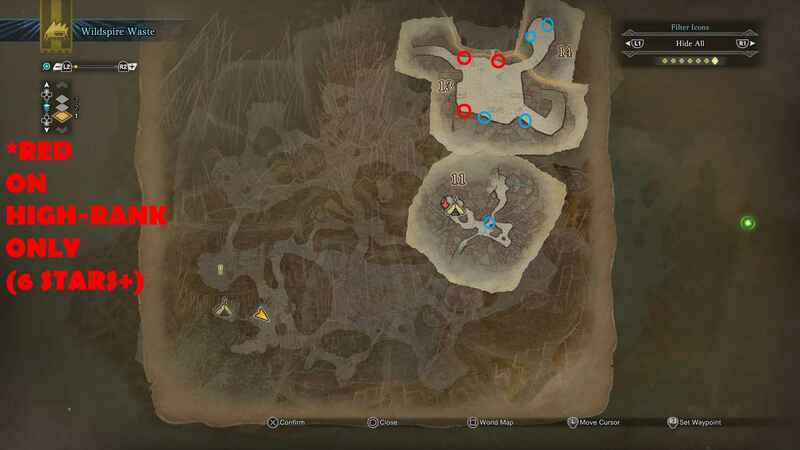 Ore are searchable mineral outcrops found throughout the game. These minerals will drop 3 random ore when searched. These ores are then used for crafting. 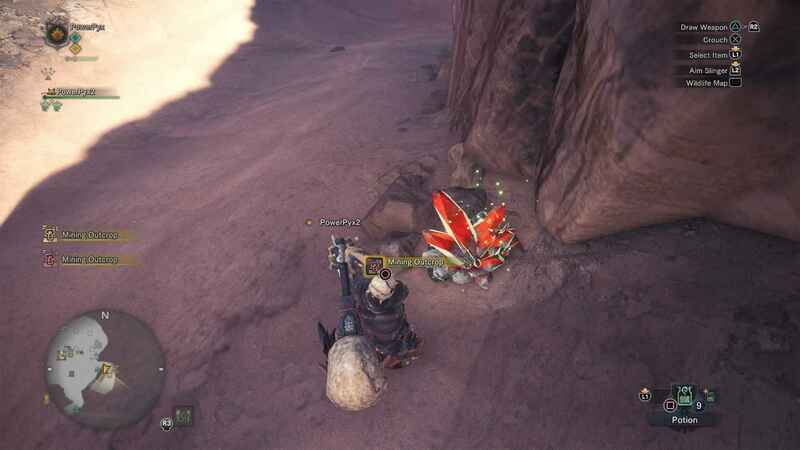 To search a Mineral, run up to the Mineral Crystal that is highlighted and press or and it will harvest an ore. Do this two more times to harvest another two ore from the same Mineral Crystal. 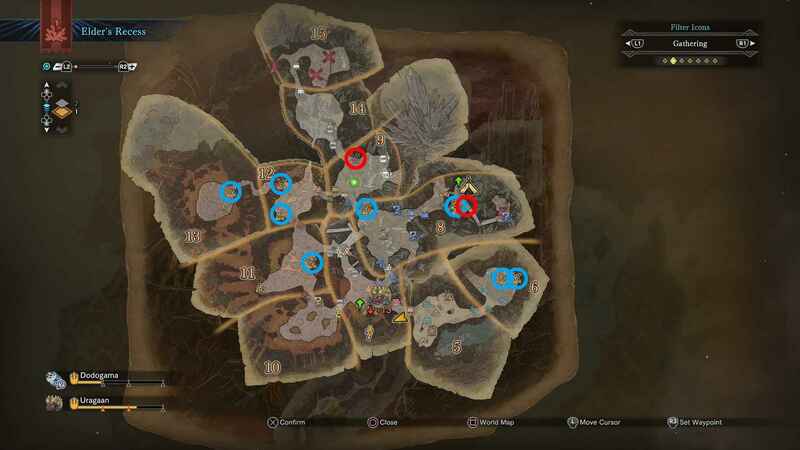 Each map has a few types of available ore. 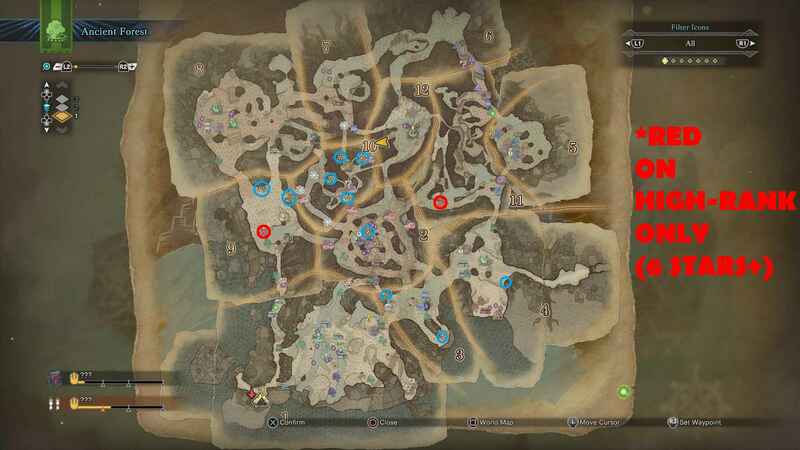 However, it can drop from any outcrop on that map (slightly random). 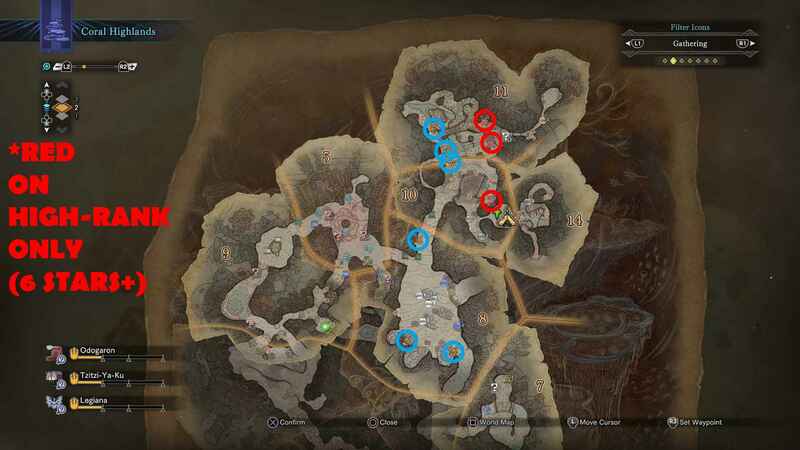 There are blue and red outcrops which yield different ore. 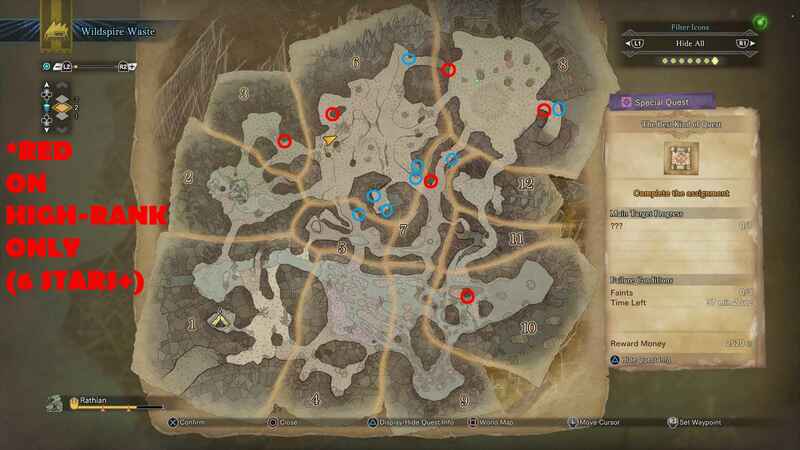 Most Red Outcrops are unavailable on Low Rank (1-5 star assignments). 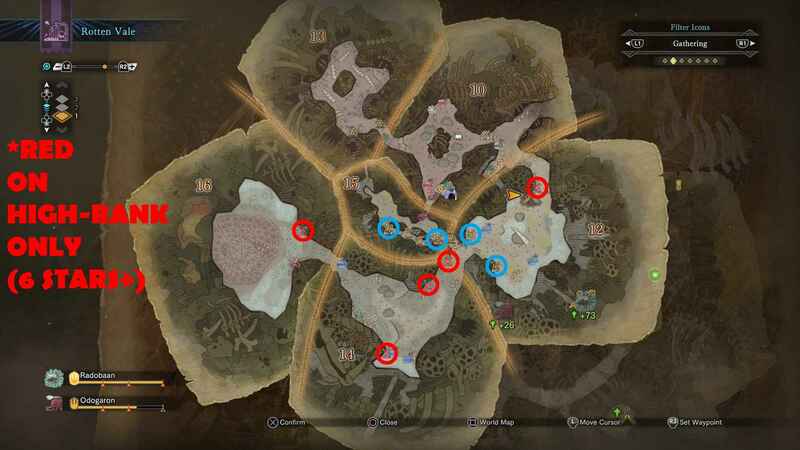 They will spawn on High Rank (6-8 star assignments).